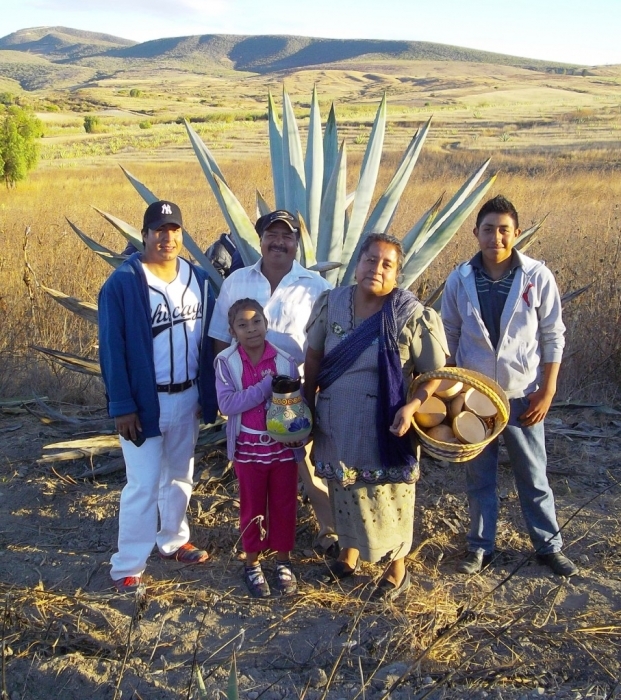 Mezcal Educational Excursions of Oaxaca is designed for spirit aficionados, restaurant owners, bartenders and mixologists, and those considering a business plan for the export of mezcal from southern Mexico. I work with novices wanting to learn about agave and mezcal from scratch, those with an intermediate level of knowledge, and well-seasoned industry professionals as wells as photographers and documentary film companies. 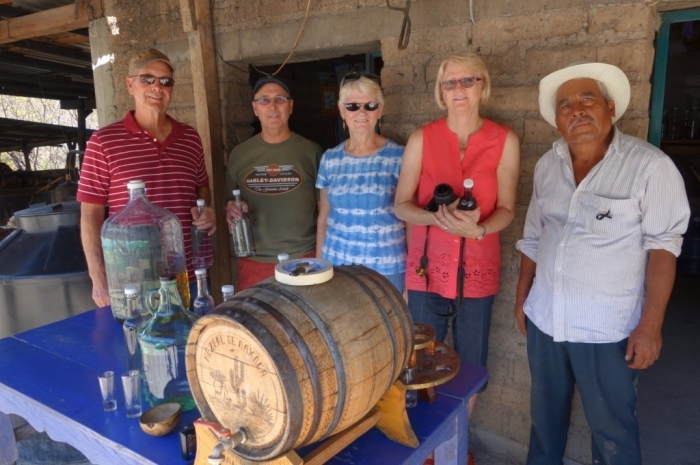 I arrange fully personalized mezcal distillery tours for individuals, couples, and groups, ranging from a single mezcal day tour, up to multi-day comprehensive packages emphasizing the food of Oaxaca, and its beverages such as aguamiel, pulque and tejate. However, I stress mezcal and agave, visiting different types of rural village distilleries (or palenques as they’re known in Oaxaca). 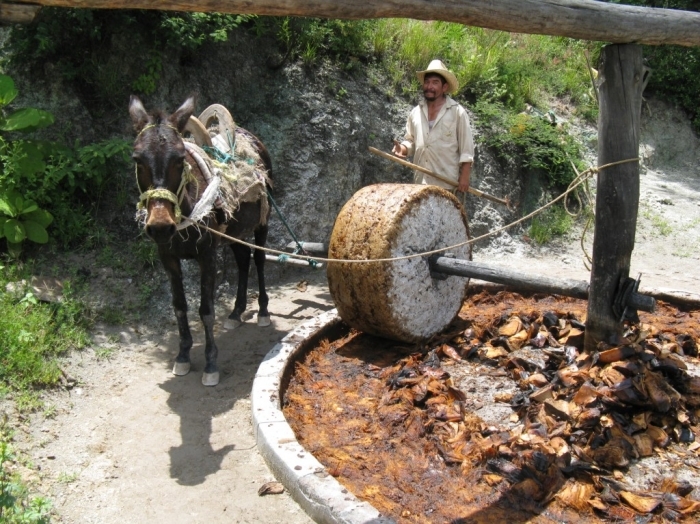 Production ranges from the most rudimentary ancestral clay pot distillation, to the use of small traditional copper alambiques. Upon request a visit can be made to a hybrid semi-industrial factory. You will to learn to identify which maguey specie or varietal is used to produce what flavor and aroma nuance, and how to hone your palate. Regardless of the type of experience desired, a major goal is to illustrate as many steps as possible in the mezcal-making process, from seeing campesinos planting, weeding or cutting agave in the countryside, through to sampling the spirit in its purest form as it drips from the spigot. No touristy distileries! 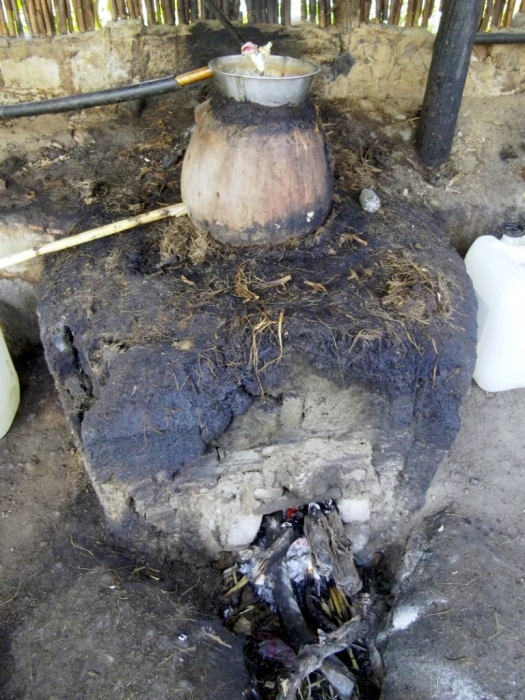 I work with my native Zapotec friends to ensure as real an experience as possible of mezcal distillation; the spirit as made by Oaxacans for Oaxacans. Interested in a package? I arrange culinary classes with renowned chefs who teach about cooking with mezcal and pulque; dinners in some Mexico’s most noteworthy restaurants; and pairing events (i.e. with chocolate, craft beer and Oaxacan regional food). Regardless of whether a single day excursion or more, be assured we visit roadside eateries patronized by almost exclusively Mexicans. I am federally licensed, and a respected writer about all things mezcal, pulque and industry sustainability. If you have a group, working with me from the outset enables us to design a custom package combining events centering upon mezcal, pulque, craft beer and Oaxacan cuisine. Contact me for pricing, my detailed qualifications and verbatim testimonials, both of which will assure you of the most enjoyable and fruitful mezcal distillery tour imaginable. Worldwide Guided Tours for Gay Travelers!